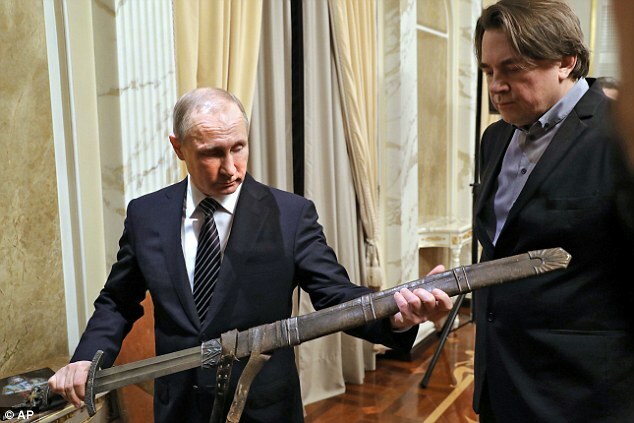 Russian President Vladimir Putin laughs off 'Political Corpse Obama' and takes higher road, stating there would be no expulsions while posing with a 'Viking sword' from a popular Russian TV show. In a statement President Putin mentions, "We will not create problems for American diplomats. We will not expel anyone." The Russian embassy in the UK also took to twitter to troll Obama's expulision of 35 Russian Diplomats with picture of a ‘lame duck’ with the caption, "President Obama expels 35 diplomats in Cold War deja-vu." "Everybody, including the American people, will be glad to see the last of this hapless administration." Russian Senator Konstantin Kosachev, head of the International Committee of the Russian Upper House of Parliament, stated to RIA Novosti. Zakharova continues on her official Facebook. But Hurt Obama is doing everything he can like a gremlin to spoil everything for the President-elect Trump and put America towards a World War 3. Thanks Barry Hussein Obama for embarrassing yourself and America. Cry baby. Nazi Collaborator and Billionaire globalist George Soros wrote yesterday a panicked rant calling President-elect Donald Trump a “would be dictator” who threatens his new world order. The Nazi Collaborator and ultra-rich elitist bankrolled the overthrow of governments such as Ukraine and Egypt. 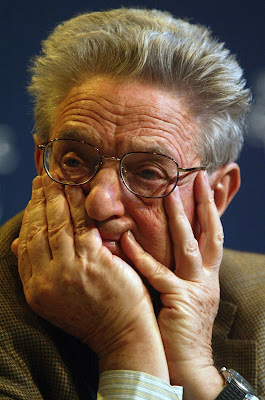 Soros wrote his crazy crying rant on ProjectSyndicate. he irony of an ultra-rich elitist who has bankrolled the overthrow of innumerable governments insisting he cares about “democracy” and the will of the people is particularly rich. His cry baby rant is full of concern and anxiety that populist not globalism is infecting his new world order that Soros spent his entire life building. Drexel condemned the Twitter message as “utterly reprehensible” and “deeply disturbing.” The school says in a statement it’s “taking this situation very seriously” and has contacted the professor to meet." So far this has been the response from Drexel University on their twitter page. Makes you wonder why Drexel University didn't fire Racist NAZI Ciccariello-Maher on his inflammatory tweet. Imagine if someone advocated black genocide, they would be fired on the spot and a federal investigation would begin.